During the early 1980s, the image of downtown Dallas was the polar opposite of its present state. Dallas was still a major player in the oil industry. The real estate market was booming and the resulting economic windfall gave rise to the legendary downtown skyline that current city leaders are desperate to reinvigorate. Yet if you traveled south in any direction there was a different story of Dallas. The exodus of white residents had long been over. Small minority owned businesses were feeling the first pangs of the recession. Sounds of the Black Arts Renaissance were now a whisper. And in its place sprang poverty, crime and a disenfranchised population. The most notorious of the blights to ravage southern Dallas was the crack cocaine epidemic. After visiting home during his sophomore year of college, former Dallas Police Chief David O. 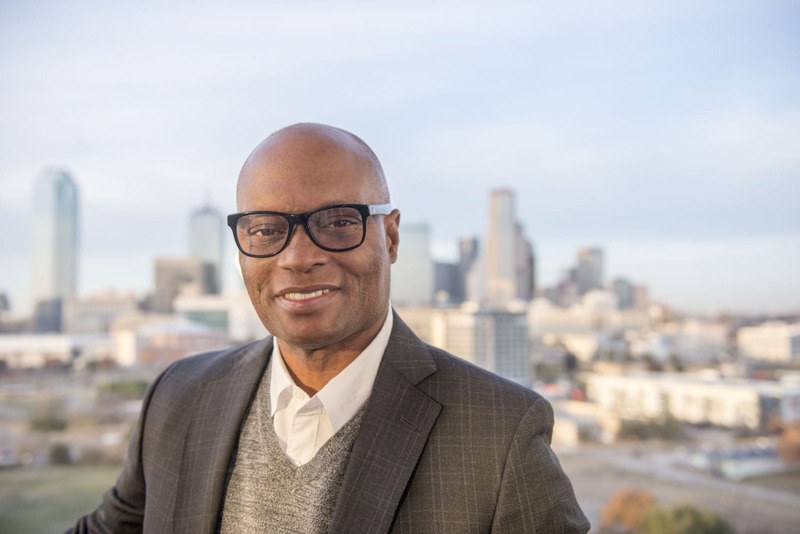 Brown saw the effects of drugs and crime on his Oak Cliff neighborhood. He knew he couldn’t sit idly by and hope someone else would fix the problem. This is where his autobiography begins. “Called To Rise: A Life in Faithful Service to the Community that Raised Me” was released recently by Random House. Within it, Brown recounts the divine urging that lead him to postpone higher education and pursue a career with the Dallas Police Department. His book marks the first anniversary of the tragic events of July 7, 2016 – when a peaceful protest in response to reports of excessive force and police involved shootings of Black men in Louisiana and Missouri turned deadly. A lone gunmen opened fire killing 5 Dallas police officers and wounding 7 others. Unbeknownst to Brown, this would be a defining moment in his stewardship of the Dallas citizenry. In this memoir Brown takes readers behind the scenes of that tragedy. Brown, who has an extensive background as a crime scene investigator and S.W.A.T. team leader, is credited with an innovative tactical response that ended the gunman’s downtown siege. The city’s top law man gives a powerful first person account of the ongoing horrors of that night. From the gunman’s cryptic demeanor and taunting of Dallas police to Brown’s inner turmoil and battle with public perception. While many may recall the police shootings downtown and at the Jack Evans Police Headquarters as high profile incidents during Brown’s administration, those frightening scenes that catapulted Dallas to national news are only a small portion of his book. As a matter of fact, only the last four of twenty one chapters are about the national incidents that people outside of Dallas may be familiar with. The lion’s share of Brown’s memoir is filled with stories of resounding faith despite terrible personal loss. Along with Michelle Burford, former O Magazine founding editor, Brown spins intimate moments of anguish into testimonies of faith. A proud native of Oak Cliff, Brown describes his early life growing up in a single parent home, as well as losing his first partner who was killed in the line of duty. Brown also lost his younger brother to addiction and finally to drug dealers. Even during the first months of his tenure as police chief when his mentally-ill son, David Jr., was killed during a police shooting in nearby Lancaster, Texas, Chief Brown continued to serve this city. 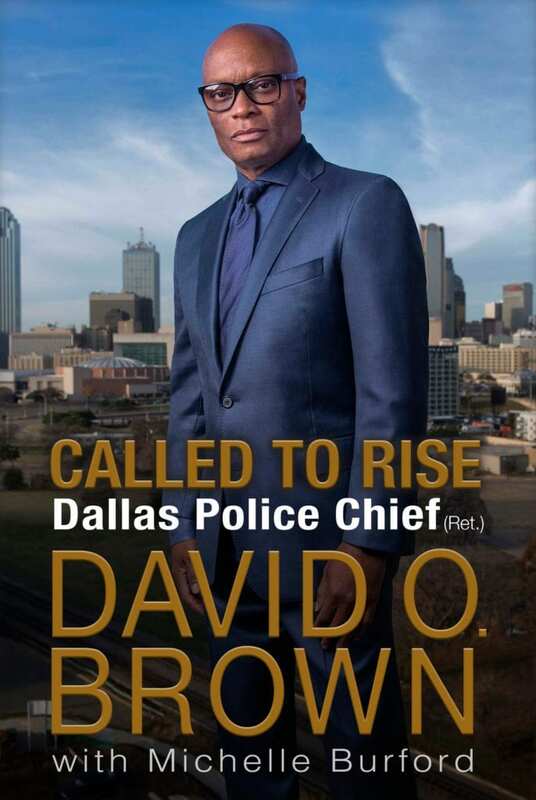 “Called To Rise” is not only a collection of events spanning Brown’s 33 years in Dallas law enforcement. It chronicles Brown’s transformation from a “throw’em all in jail and let God sort’em out” police officer to a champion of community based policing. Throughout the narrative Brown touts that dialogue, commonality and action are the greatest tools against crime that a city can possess. Brown since his retirement has been heralded as “Untouchable” and “America’s Chief” and a leader on the front lines of social change nationwide. No topic is taboo in this piece—from race relations to excessive use of force by fellow officers. While no topic is off the table, Brown’s only rule is don’t simply complain. Be solution-oriented.